As Valentine’s Day approaches, many guys are wondering how to propose to their girlfriends. Our relationship expert, Jay Hurt, has set the bar high. Jay proposed to the love of his life at a Chrisette Michelle concert. 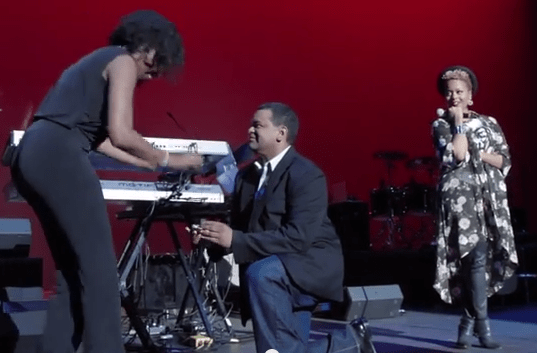 Watch the video to see how he pulls off this classy proposal.